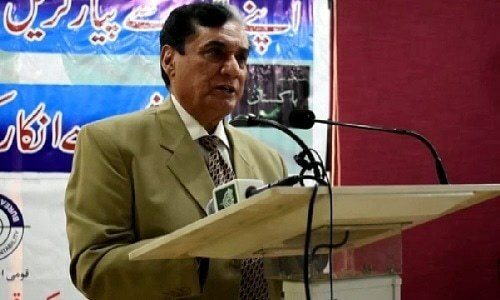 The chief justice of Pakistan (CJP) on Monday ordered National Accountability Bureau (NAB) Chairman retired Justice Javed Iqbal to answer for the publicity of summons issued to people in inquiries being carried out by the anti-corruption watchdog. CJP Mian Saqib Nisar also ordered Iqbal to appear, along with NAB Prosecutor General Asghar Haider, in his chamber on Aug 27. Justice Nisar, while hearing a case on the payment of high salaries to Punjab government officials appointed as heads of 56 public-sector private companies, said: "NAB has no right to slander people." "The summoning of people should be private," he asserted, adding: "The reputation of a person who is found innocent in an inquiry will be ruined in society [due to news reports that he has been summoned by NAB]." Justice Ijazul Ahsan also regretted that "news [of people summoned by NAB] breaks before they get their notice". He added that there were "black sheep" in NAB. The CJP insisted that "action be taken against any investigation officer who is found guilty of sharing information". The NAB prosecutor assured the bench that the anti-graft body had initiated an accountability drive within the organisation. According to a report submitted by the NAB prosecutor today, 54 officials had withdrawn a total of Rs520,074,000 in salaries. 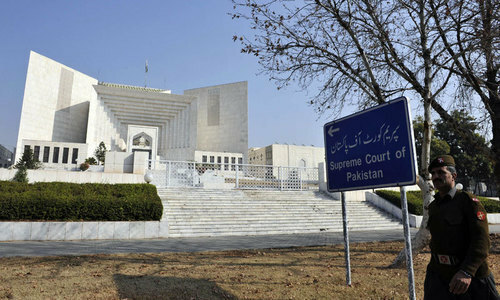 The NAB prosecutor told the court that at least 34 officials who received high salaries were ready to return the money. The apex court ordered all officials who had withdrawn market-based salaries in addition to their regular pay, to return the extra money within three months. Blacksheeps are dime a million, everywhere. Should not all those NAB employees who have drawn large sum of money be arrested, tried and persecuted for the crime. Are these people fit enough to be in NAB? First crackdown on the lakhs being charged to get a job at nab - ashamed to see this kind of stuff going on in an institution which is supposed to stop corruption..
Identify and get rid of black sheep from all institutions - there is NO room for such disgraceful people in our society. Every one wishes to earn by hook or crook. It is a mad, mad world. Everybody is innocent until proved guilty and all investigations must be carried out professionally,discreetly and with due diligence. An organisation is only as competent and effective as its staff who must therefore be recruited purely on merit and relevant experience. The longest journey starts with a single step and we have embarked on a mission to clean our society of all social ills and corruption and shall not and must rest until these issues are eradicated. In the end we shall ALL be better off and so will future generations. It would appear that every one is only interested in getting self publicity whatever the costs to any other persons. IK don't need to look far,Half of Pakistan looted wealth can be recovered from NAB employees in Pakistan. As far as the charges on establishment is concerned, almost every body goes deaf,dumb and blind.Other than that which are the other institutions which are Sadiq and ameen...? good. All political appointees at huge expense to tax payer money should be asked to return the excess salaries. NAB is only a tool in the hands of ALIENS to bow the politicians for their designs.